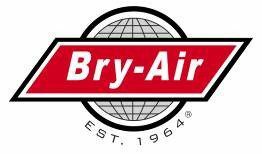 Bry-Air, Inc. environmental control systems allow for precise control, which leads to increased sales, increased employee productivity and retention, and fewer complaints. Think it’s difficult to increase sales, employee productivity and retention as well as receive fewer overall complaints? This is every owner/manager’s goal and it is possible. Through some simple changes – focusing on maintaining a healthy indoor environment will get increased sales due to repeat customers and referrals, improved employee retention and productivity. Whenever we find ourselves in public places, crowded or not, the combination of excessive air moisture and warm temperatures can be extremely uncomfortable. These conditions cause us to seek out a “new comfort zone” – areas with air conditioning and lower humidity levels. The challenge of running a business that involves different temperature zones and people’s differing needs cannot simply be remedied through air conditioning. Because no two people have identical physical and emotional signatures, we must find a common ground where the majority is content. This level can only be consistently achieved and maintained through a balance of cooling and humidity. Traditional air conditioning operates by passing air over a cooling coil. The evaporator temperature (the temperature of the cooling coil) determines the temperature of the supply air leaving the air conditioner. This leaving air temperature, in turn, determines the capacity of the cooling system. The capacity of the cooling system has two components: a sensible (temperature) component and a latent (moisture) component. The balance between the sensible and latent components is critical for the thermal comfort criteria – specified as combinations of temperature and relative humidity (among other variables). For most people this comfort level may be at 75°F and 60% relative humidity, compared to 75° F and 80% relative humidity, where most would not be content. Restaurants attempt to provide uniform indoor temperatures and humidity levels, but the air conditioning units will automatically turn off when the temperature set-point is reached. When this happens, there is no control of humidity until the air again becomes warm enough for the units to restart. In order to satisfy the customers, they only have the option of raising or lowering the thermostat. The swing in cooling level, for example 68°F to keep employees comfortable and productive in the food production area, causes the colder air in the seating area to chill the paying customers. In turn, adjusting the comfort levels for the customers causes the kitchen to heat up and affect employees. Aside from creating these swings in levels of human comfort, the temperature/humidity cycling produces excessive condensation on the coils of the A/C units, as well as on glass surfaces in the restaurant. This cycling causes the units to work longer to re-establish set-point temperatures with each cycle. Running the units longer adversely increases the cost of energy required and also shortens the life expectancy of the unit. So, what is the intelligent and complete solution? Traditional air conditioners overcool the airflow in order to lower the humidity. In doing this, the lower air temperature becomes unpleasantly cold. Restaurants that cause discomfort from temperatures that are too warm or uncomfortably cold can be disastrous – annoying employees and driving away customers, which results in lost revenue. So, the balance must be achieved with a “packaged” system that applies two technologies, refrigeration and desiccant dehumidification. Unlike cooling-based dehumidifiers, which cool the air to condense moisture and then draw it away, desiccants attract moisture molecules directly from the air and release them into an exhaust air stream. By taking advantage of the air conditioning and dehumidification systems, the restaurant’s conditions can be stabilized to offer a set point of 72 – 74°F with a relative humidity level of 45-48%. The system operates cost effectively because all of the energy required for the operation of its desiccant dehumidifier is recycled from its cooling components. 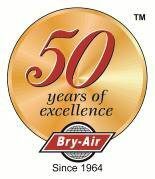 Desiccant systems are now also being used to improve air quality, to reduce humidity, and increase comfort in supermarkets, fast food restaurants, retail stores, ice skating rinks, and medical facilities. Businesses in the United States could save $750 million and offset the use of 500,000 barrels of imported oil every year by capitalizing on advances in desiccant cooling technology. Because desiccant coolers are heat-driven, they may be powered by natural gas, solar thermal energy, or waste heat, thus lowering peak electric demand. Depending on the application, and energy cost, a payback period of one to two years is possible, but paybacks of three to five years are typical. However, the value of a satisfied repeat customer along with a low employee turnover rate is invaluable.